If you’re excited to see the warmer weather but dreading the restlessness of those hot summer nights, you’re not alone. Here are Four Tips for sleeping cool in the heat from Joanna Goodman at Au Lit Fine Linens. The Summer Duvet. Do you love goose down but can’t stand to use your duvet in the summer? Meet the Summer Duvet.The hot summer months call for a “lighter jacket” if you will. Our Ultra-Light duvet is designed to carry you through the summer stretch, featuring significantly less down than our other models for minimized heat retention without sacrificing any of the coziness down has to offer. A Lightweight Blanket. If the idea of a regular duvet still seems too warm, a good old fashioned blanket is an excellent alternative when used on its own with a flat sheet. There are a number of blanket styles that suit the summer temperatures, but the top choice would be a lightweight cotton blanket such as a pretty matelassé or brushed cotton, or a down blanket, which is literally a blanket (no puff), filled with a very thin layer of down. You’ll be amazed how cool you’ll stay all night with just a light blanket and a crisp flat sheet. Wool Mattress Protector. Yes, we said wool! While the idea of wool may seem counterintuitive, the fact is a wool mattress protector is excellent at regulating body temperature – keeping you cool when it’s warm out and warm when it’s cool out. Wool’s job in nature is to wick away moisture and regulate temperature, helping to cool you down when your body starts to heat up (whether that be from the dog days of summer, hot flashes, or just a natural tendency to run hot while sleeping). Linen Sheets. There’s nothing like the cool hand of linen in the summer. Since linen – which comes from the Flax plant – tends to feel a bit rougher than cotton, we love a mix of both. Au Lit’s favourite summer sheet is a 50-50% linen/cotton blend, which stays cool in the heat but is still as soft as marshmallows. 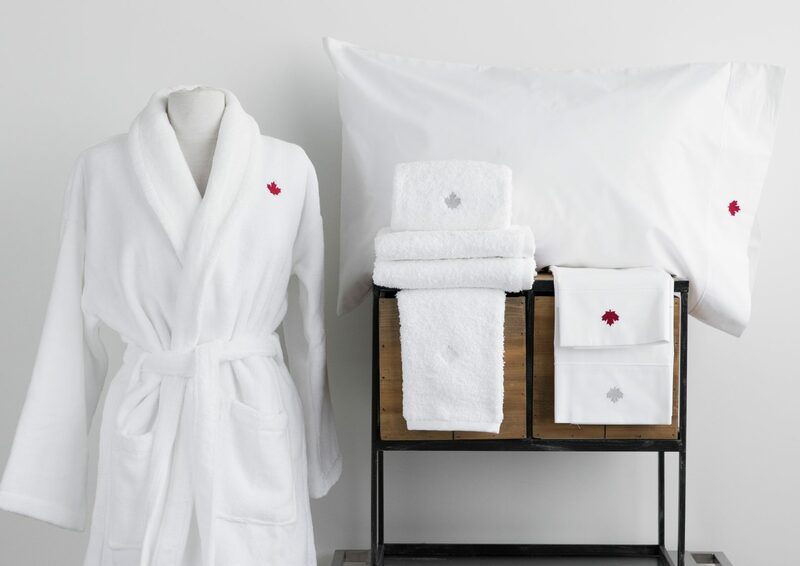 If you’re not a linen fan, you’ll be just as cool in silky Bamboo or crisp 100% cotton Percale.